WOOOO HOOOOO AAA Surveyed 300 Customers AGAIN- We Scored 100% Customer Satisfaction 5 Years Running!!! UNHEARD OF!!!!!!!!!!!!!!!!!!!!!!! Idiots R Boycotting ARIZONA TEA because of what is going on in Arizona! It is made on the EAST COAST! WOW!!!!! Now that's a LOW IQ! Wants to know your all time cutest pet's name! Attendees Get $25 FREE toward any auto repair! AC Compressor Clutch AC Condensor AC Condensor Fan AC Evaporator Get Your A/C Checked Out. Buying a NEW car? Talk to the experts B4 U Do. You want to know maintenance costs B4 U Buy! Tires, wipers, filters, can get very expensive! Don't Buy Your Tires From A Warehouse Store Don't Buy A Used Car Til We Look It Over! Lots of Customer Feedback today about our INTEGRITY & HONESTY in the world of Auto Repair. We Don't Say We're HONEST, our customer Do! What's life throwing your way today? What are you throwing back? The CAR DEALER told our CUSTOMER they need brakes. 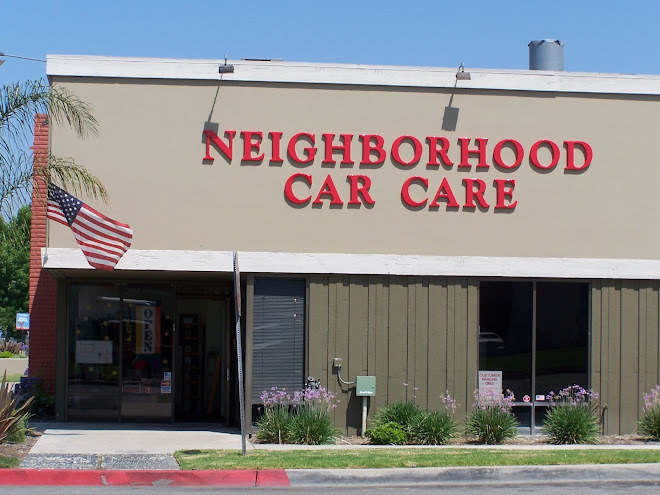 Customer checked with Neighborhood Car Care. . . they have 70% Brakes LEFT!!!!!!!!!!!!! INCOMPETENCE has RUN AMUCK. Don't dare waste MY Time. You CAN'T Afford my hourly rate! 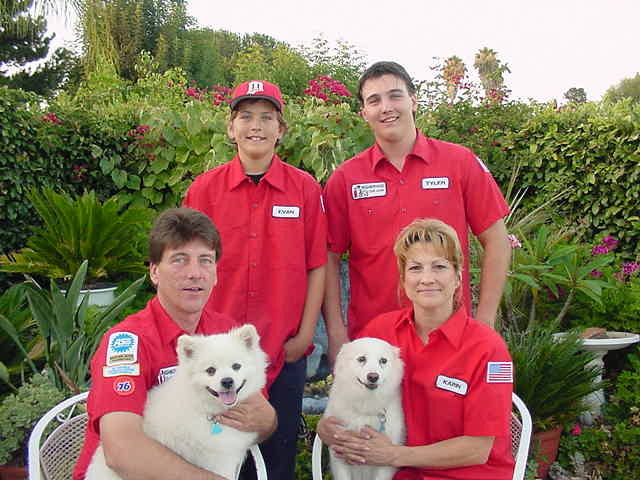 3 Customers in Neighborhood Car Care's waiting lounge were all met at Networking Meetings! Thank you! I love Amazon.com for all our business and personal needs. Usually get FREE shipping too! Look around, appreciate the good. Seek beautiful things. Count your blessings. Dissatisfaction will not bring a happier better life. Good Sunday Morning God! Thank you for the dawn's peaceful horizon and your glorious sunrise right in my own back yard. "FAIRNESS" is NOT giving MY hard earned money to people with an entitlement attitude. There is NO FREE Lunch. Wake Up America! 4/15 from 12-3 @ Irvine Auto Center. Who do you think should get involved? So clean and fresh this morning after cleansing down pours during the night. So nice to hear rain on the roof! Cool & Cloudy = Home made Chicken Soup! It is BAD LUCK to be superstitious? What is your guilty Supersition? Thank you for my beautiful family, dear friends, loyal customers, gorgeous community, and this luxurious sunny day! I love you God! Tiger Changed His Name: He now goes by the name "Cheetah"
BUMPER STICKER TIME: It takes less face muscles to smile and more face muscles to frown. Try smiling more today! :D & even more tomorrow! OOOPs!!! My Bad! Keith will be speaking on MAY 8th. But you should come check out the SOC Chamber EVERY Thursday for Lunch! Sorry! Wonderous Universe, our never ending gratitude for granting our dreams come true. Gals, no more CAR worries! Our ladies LOVE the friendly guys in the red shirts. We don't recommend anything you don't need. Promise! If U R in a bad mood, U R not being grateful. Gratitude transforms your life. Stuff getting in the way of the life U deserve? Be thankful! Happy Easter! Eternal Life lives in all of us! Stop by ANYTIME to have us check your tire pressure or check your oil. We're here to help! Thanks EASTER BUNNY! Bak Bak!